Heritage Frame & Picture Co is New York's Custom Commercial Art Framing Shop. Heritage Frame provides corporate framing, art restoration and installation throughout New York City, Manhattan, Tarrytown and Westchester County. If you are need custom commercial art framing, mirror framing or picture framing for contemporary fine art, lithographs, posters and photos, Heritage Frame has a large variety of custom frames and matting. Heritage Frame works with large corporations, organizations and educational institutions in New York, nationally and internationally. We also provide custom framing services for families, art collectors, artists, photographers, interior designers, banks, law firms, financial firms, corporate event planners, hotels, non for profits, restaurants and sport teams. At Heritage Frame & Picture Co, excellent customer service and high quality custom framing are the ingredients that have allowed us to be in business for more than 140 years. Heritage Frame, also known as NY Frame, is a 4th generation, family owned corporate framing, custom art framing, mirror framing, art restoration and art installation business. In 1878, Heritage Frame & Picture Co. started as NY Frame in NYC in the Wall Street area. Since then, we have provided art restoration, art installation, custom photo framing and commercial art framing services for thousands of customers. In addition to a wide variety of picture, art and mirror frames, we also have a large variety of matting available. We come to your home or office and are able to meet after hours when you make an appointment. Ted Howell, owner and 4th generation custom art framing craftsmen stands behind his work. Ted is available to answer questions regarding corporate framing ideas, the custom art framing process and anything else you would like to know regarding how to select the best frame for your family portraits, mirrors, diplomas, memorabilia, letters and antiques,. If you would like a FREE quote on corporate framing, picture framing, mirror framing, art restoration or art restoration, call Heritage Frame at 212-233-3205 or 914 -332-5200. If you would like Ted to meet you at your location in Tarrytown or Manhattan, New York to provide you with an estimate for custom art framing, Commercial Art Framing, art restoration or art installation, call Ted at 212-233-3205 or email him at Ted@HeritageFrame.com. 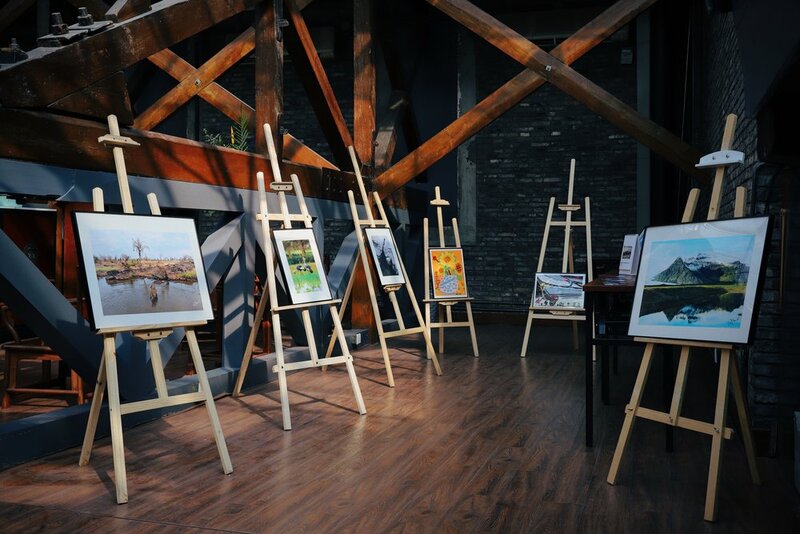 Many of our Corporate and Commercial Art Framing, custom art and photo framing customers are located in Westchester, New Jersey, Connecticut, Philadelphia, New York City and the surrounding area. Please call or stop by Heritage Frame and let us guide you through our unlimited selection of custom picture frames of various metal, wood and museum quality framing. With over 140 years of experience in the custom art framing and corporate art framing business, we are the best custom framing shop in New York City.